The Goon sequel is well on its way with Seann William Scott set to reprise his role as Doug "the Thug" Glatt and screenwriter/co-star Jay Baruchel set to take the director's chair. Today, more information about the film has been revealed. Called Goon: The Last of the Enforcers, a press release confirms that all of the original's cast will reprise their roles. In addition to Baruchel and Scott, this means that the film will feature appearances from Liev Schrieber, Marc-André Grondin, Kim Coates and Alison Pill. In addition to the returning actors, The Last of the Enforcers will be rounded out with appearances from Wyatt Russell and Elisha Cuthbert. 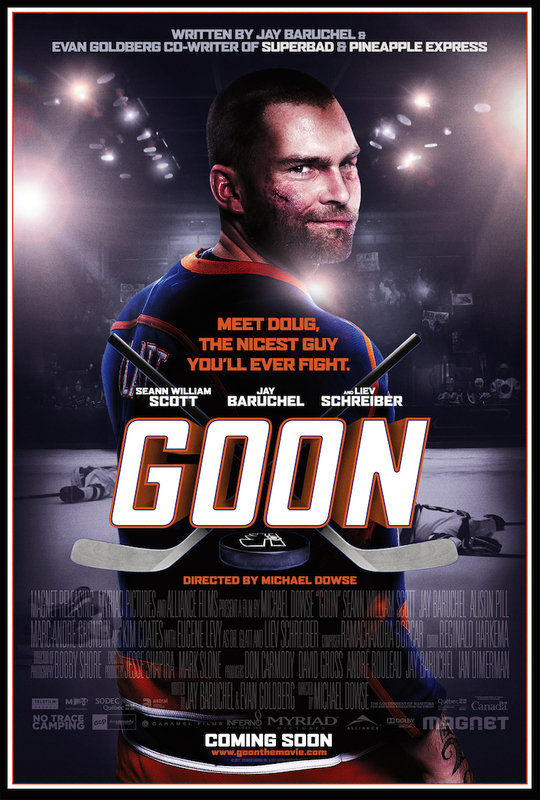 The next Goon film begins production in Toronto on June 22.